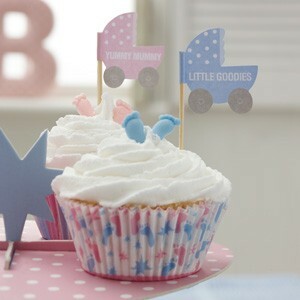 A pack of 20 cupcake sticks and canape flags perfect for little treats. Mixure of two colours (pink & blue). Tiny feet decorations not included. Shown as an example for decorating your cupcakes.